Sri Lanka moves closer to secure US $ 1.1 billion investments from Singapore and Chinese investors to set up a steel plant and cement plant as the government focuses on regaining the investor confidence that derailed during the political crisis. Development Strategies and International Trade Minister Malik Samarawickrama and Development Strategies and International Trade Deputy Minister Nalin Bandara revealed that a Singaporean investor would visit the country next month to set up the steel plant in Trincomalee, with an investment of US $ 1 billion. “The steel plant is on the track. The Singaporean investor will visit Sri Lanka next month to finalise the agreement,” Samarawickrama said. Bandara said that the Development Strategies and International Trade Ministry is in the process of transferring a 500-700-acre land in Trincomalee, nearby the Trincomalee harbour, to the Board of Investment (BOI), in this regard. He noted that the Singaporean investor is investing in the plant targeting steel exports to the region. 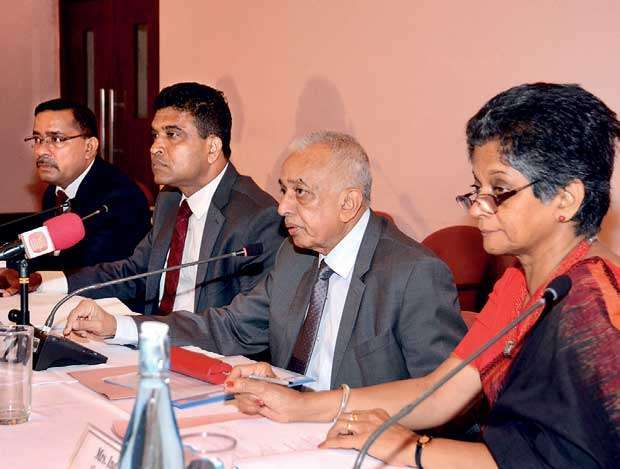 Samarawickrama revealed that a Chinese cement manufacture, partnering with a local firm, has invested US $ 100 million to set up a cement plant in the Hambantota Export Processing Zone. He noted that the construction of the plant would commence next month. The plant is scheduled to commission cement production in 2020. Meanwhile, Samarawickrama revealed that the government is discussing with several Singaporean investors to set up two oil refineries in Sri Lanka, with an estimated investment of over US $ 10 billion. He noted that the investment for the first plant would be around US $ 3-4 billion and US $ 8 billion for the second. The government has set an ambitious foreign direct investment (FDI) target of US $ 3 billion for this year, after achieving the estimated US $ 2.3 billion in FDI last year. “It’s tough but we are determined to reach that target,” Samarawickrama said. Due to the political crisis that triggered towards the end of last year, he noted that the investor confidence has been eroded, in particular with the Japanese investors, who are sensitive to changes. “Because of what happened during those 51 days of last year, the investor confidence we built gradually since 2015 has eroded. Japan, in particular, wants to ensure that the democratic process is in place. So, once again, we have to rebuild the investor confidence that we lost out during the 51 days,” he said. Samarawickrama also revealed that discussions are underway with President Maithripala Sirisena to appoint a new chairman for the BOI, as the current Chairman Hemasiri Fernando has been appointed as Secretary to the Defence Ministry. In addition, two new directors are also expected be appointed by the president within next few days.